Scarves are wonderful and they can almost take any outfit up a notch. They are very easy to wear and there are tons of ways to style them. Of course you can just get out of the house and drape it over your shoulders but you need to learn how to style these. Here are some styles and tips on how to wear and tie your scarves. Look how wonderful the different colors and patterns match. To achieve an effortless yet chic look like this, just drape your scarf around your shoulders and that’s it. If you wear an outfit that looks over the top, it’s best to leave your scarf simple. Don’t be afraid to go bold in this bright blue and red outfit. You will definitely be the most colorful woman in a sea of black and grays. Style your scarf however you prefer, but if you want something different, try a knotted style. If you’re wearing an all-black ensemble, your scarf should be patterned or colorful to give your look a little dimension. You can keep it hanging around your neck or you could do those fancy scarf styles like a European look that works with most necklines and with your hair either up or down or the Waterfall which is a boho look that works nicely with a person who’s always on the go. 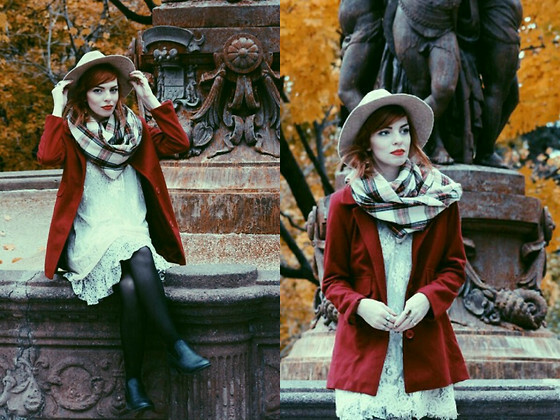 Pair your white laced dress with a red coat so it balances out your ensemble. 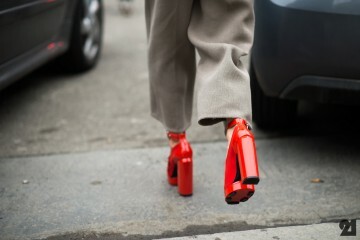 You can also add tights under your dress if the weather is extra chilly for the day and opt for boots instead of flats. Try a tuck-n-roll style for your scarf. It’s easy. Just roll your scarf around your neck and tuck it under. 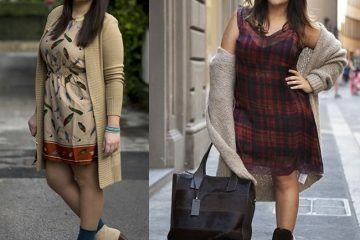 If you’re wearing a plain dress or an oversized shirt like this one, you can style your scarf by letting it hang around your neck and tucking it under a belt for a unique look. Just a few women like this style but you should definitely try this out. A knitted sweater with some scarf and coat looks absolutely cozy. Add some statement pieces like leather shorts, big floppy hat and ankle boots for a more fashion forward look. 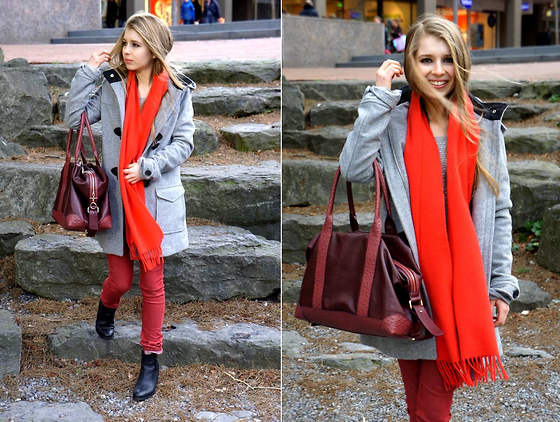 Sometimes, a simple knotted scarf style could look so chic. At some point in your life, you’re not just going to want to style your scarf that simple and plain way forever. Learn how to do complicated knots and braids to give your look that extra oomph. Try braiding two infinity scarves together for a totally unique look. 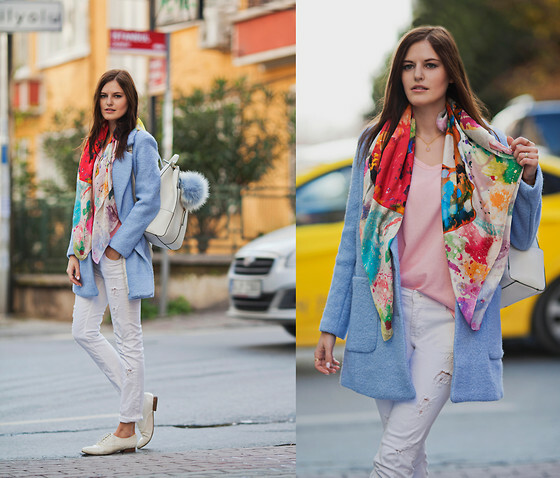 You need loud, solid-colored scarves in your wardrobe. It’s easy to style and will seriously transform a regular look into something more fashionable. Also, you need a beautiful, printed scarf like this one. Not only can it style your outfit for the day, you can also use it in different styles – like wrapping your head with it as a cute headband, can serve as a lovely bandana over your forehead, style it with a bun so it can be a perfect head scarf, and so on. Pair a beautiful and bright yellow coat with something as bright and beautiful like this scarf. It’s absolutely refreshing to look at. When it’s a bit raining, wear your favorite rain boots. There are a ton of colorful and eye-catching rain boots out there. Sometimes, wearing them with something plain could instantly upgrade your entire ensemble. Here’s a classic school girl look. All you need is a tartan pencil skirt, a knit sweater, knee-high socks and some Mary Jane heels and you’re good to go. Also, don’t forget an elegant looking scarf like this one. Try styling your scarf in a Celebrity way, a look where your hair is up with statement earrings and statement coats or jackets.